About a year ago, I was sitting across from a fellow who was asking me about my life with my daughter, diagnosed with spina bifida, and our decision not to abort her. He respected our ‘choice’, although did express concern about her impending ‘life of suffering.’ We talked about that for a bit, as I sensed that his initial statements in support of being ‘pro-choice’ were incomplete. “Should people be compelled to abort disabled children?” I asked. Of course not, he said. We talked more, and the next thing I know he is saying that we need abortion and birth control because otherwise there will be to many people on the planet. I begin with this anecdote because it is this sort of slippery reasoning that has made me deeply concerned about the direction America is going. In one breath, abortion on demand is promoted as a women’s rights issue, and being against it constitutes a ‘war on women.’ In the next breath, people who who were just advocating for a woman’s ‘choice’ argue that in some cases, women should be compelled to get abortions. Huh? The truth is that this gentleman was sincere and earnest, even if he was muddle-minded. It was my determination that policy makers and legislators and organizations such as Planned Parenthood are lying about their real arguments and motives that drove me to launch a new initiative: the Policy Intersections Research Center. Bottom line: money drives the culture of death. True–and yet there are philosophical and ideological reasons for why this is the case. Sometimes this is recognized, sometimes it isn’t. One of the purposes of PIRC is to bring the ‘roots’ of these issues to the surface, because, like a weed, unless the whole thing is pulled out, little is ultimately gained. I have been working on raising public awareness but also have connected with legislators and their staffers to urge them to see beyond the policy to the philosophy that drives it. Last week I was in Washington DC, and one of the things I did was connect with pro-life organizations and advocacy groups in an attempt to make the same point. To this end, I have written a book–more like a magazine, really–called “Roots and Fruits: The Conquest of America by the Culture of Death.” It is a survey and introduction to these issues, and I think people will be startled to hear, in their own words, what people have said in the past–and what they are saying today, even at the highest levels of the Obama administration. As implied, I would submit that the culture of death is already well entrenched in America (and elsewhere, of course). In order to reverse course, we must look beyond particular issues, even important and significant ones, like abortion on demand, to the common principles that drive them all. Ultimately, these principles must be repudiated for anything to really change. To put it another way: I doubt very much we will be able to end abortion on demand if we leave intact the principles and philosophies that brought it in the first place. And these principles are present in other places: euthanasia, health care, bioethics, and population control. In my reflections on my trip to DC I noted the pro-choice, pro-abortion woman who justified her position in part based on the fact that there was no God. I thought it was interesting, because people don’t usually admit that. It confirms one of my own observations: what one believes about God will have direct bearing on what one believes about Man. To help make this point, ACM’s fourth annual online apologetics conference is going to focus this year on the connection between one’s Christian faith (or lack thereof) and their view on life issues. Apologetics is usually framed as a defense of the Christian faith, but this conference will extend it further, arguing that a defense of the faith is also a defense of life: Man is not disposable tissue generated and discarded by mindless, evolutionary processes. Mankind is made in the image of God, and every man, woman, and child, is precious in his sight. PIRC is a sponsor of this conference. I hope to ‘see’ you there. 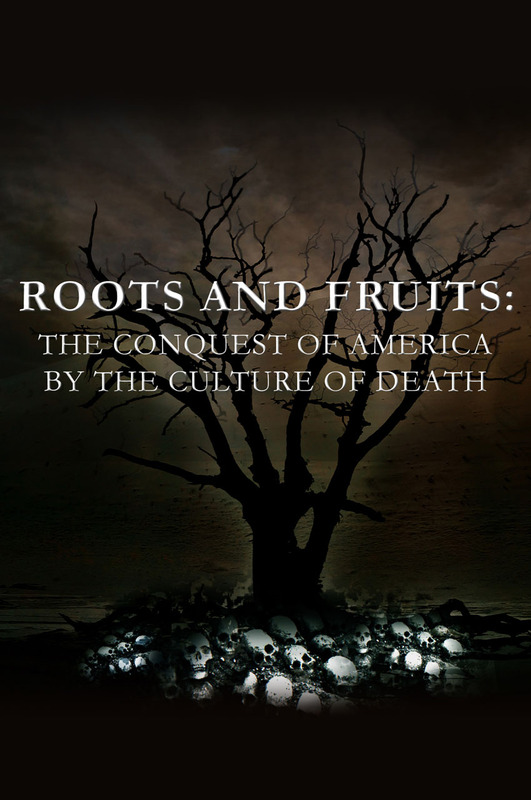 The ‘Roots and Fruits’ book begins about 200 years ago, but another PIRC project is more recent, and remains disturbingly relevant. 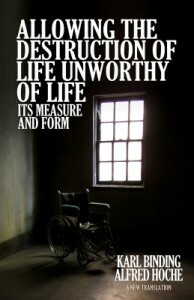 PIRC commissioned a new translation of “Allowing the Destruction of Life Unworthy of Life.” This book was written by a German lawyer and a German doctor in 1920, and argued that there were some lives that we were permitted to kill–indeed, obligated to kill. Anyone knowledgeable in contemporary conversations in bioethics and healthcare will recognize their arguments, because the same arguments are being made today. The doctors of the Third Reich utilized Binding and Hoche’s principles to launch the Holocaust, with the T4 Project as their stepping stone. Does that trouble anyone today? Are we different, because we have good intentions? Does it matter that they had good intentions, too? Next week, through ACM’s online academy of apologetics, I will be teaching a course called “Worldview Wars: Why We Abort the Disabled.” We start with that question and then slowly unravel the fact that the answer to that question answers others, such as why we ration healthcare and hear arguments for population control. The course is online and fairly thorough. I would encourage anyone looking to understand the history of the culture of death to take this course. Only by understanding the ‘roots’ of these issues, can we identify the ‘fruits,’ and act accordingly.